The poem Open Marriage Blues, which comments on important marital issues, including Viagra, Cialis, and incredible Sleep Number Bed. We honeymooned up in Niagra. How I made you sing, when we got it on. Now it makes me wince. That we once spooned without Viagra. To save our troubled relationship. FYI, the term is ‘Open’. And if you can’t imagine. Just listen up and you’ll get hip. And she dates other guys. Know that a better way is easy to find. When you’ve got an open mind. It’s a cornerstone of society. And that caused a lot of anxiety. Go on explore the Kama Sutra. The thought of you happy makes me smile. Any changes to my firmness setting dial. From the hot lovin’ that you’re getting. Is a change to my firmness setting. On a cruise you met the captain. Then got a full tour of his cabin. But he promised to visit, as you disembarked. But if old Ahab ever shows. Before he calls out "Thar she blows". Tell him the firmness number should stay parked. Go on and have your fling. I’ve got my side set up for slumber. 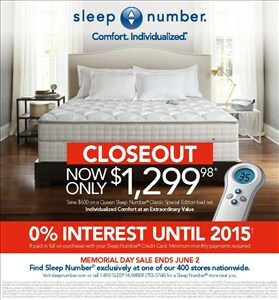 If they ever change my sleep number. If my sleep number moves off of “Sixty-Three”. You met a guy from Manhattan. Whose great grandpa was George Paton. And his hair was nicely quaffed. But I’m likely to smother. If my mattress side has gotten soft. So you've found a guy whose taller. And is also a Rhodes Scholar. I'm a fan of those Oxford ties. To turn the firmness any higher. He'll soon have pennies on his eyes. A guy who rides the wild surf. He’ll wind up six feet below the turf. Hell, my favorite feline is the cougar. It might be time to redeem my Ruger. And he worked at the last World Cup. While I'm sure he's a good sport. His time on Earth will be cut short. If he turns that firmness setting up. Now you see a preacher man. Who does the laying on of hands. Guess you didn't mention your marital tie?!? But if he handles my remote. With mine own hand I'm gonna smote. Then you can meet him in the sweet by and by. Keywords: Open Marriage poetry, Poems about Extramarital Relations, Sleep Number Bed poem.